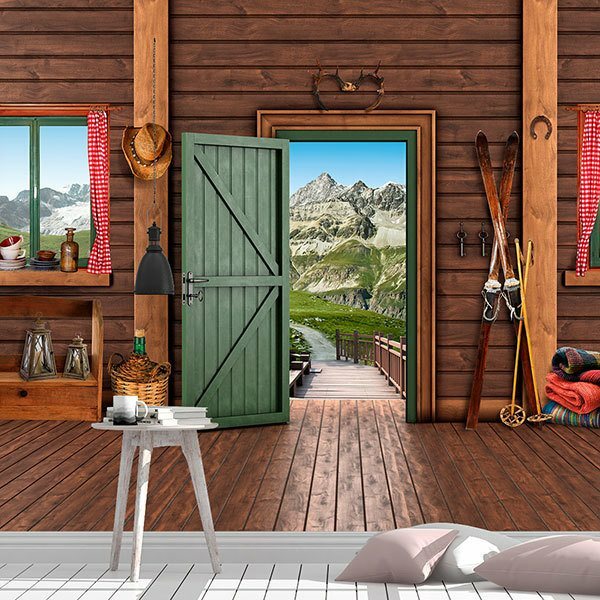 Wall mural Cottage in the Alps. 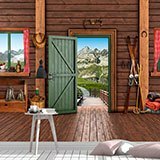 Image seen from the inside of a wooden cabin in the Alps. 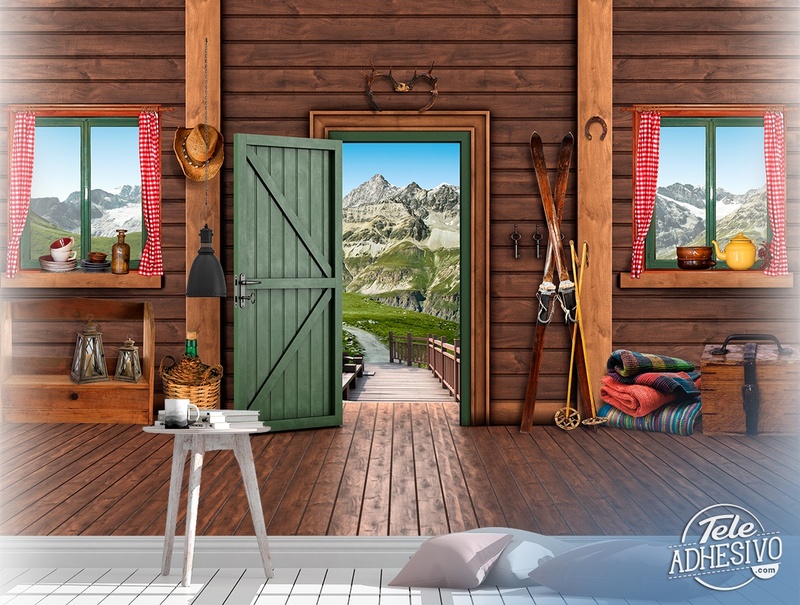 Some skis, a hat, a chest, a horseshoe of luck, a cortamenta above the door, keys and other element we find inside the house. 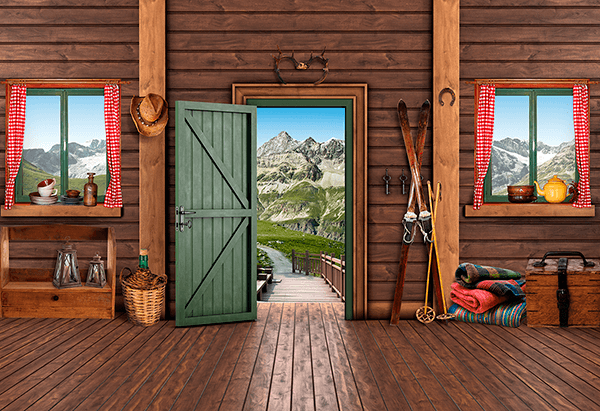 The door is open with the mountains in the background in spring.